Neels Visser is an American actor, model, social media star and businessman. This biography profiles his childhood, life, career, achievements and some fun facts. 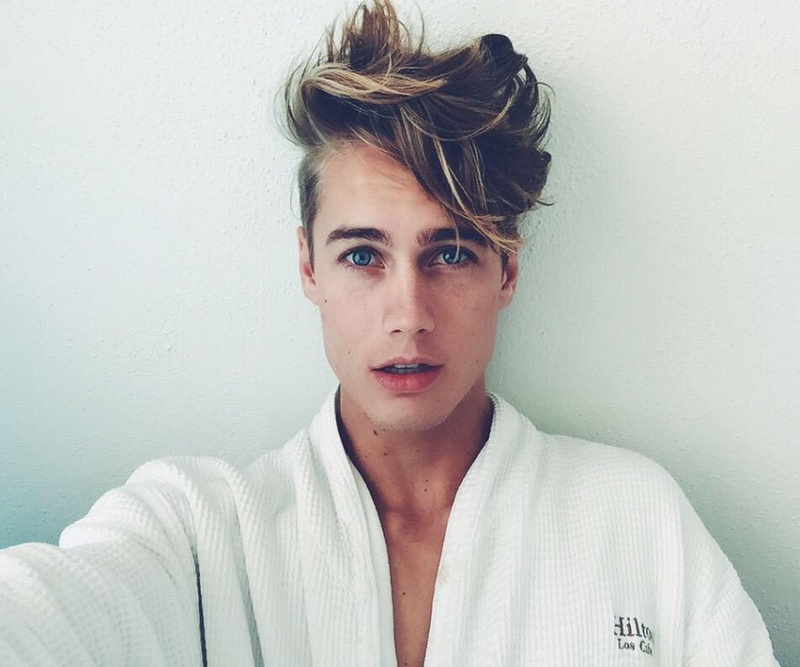 Neels Visser is an American actor, model, social media star and a businessman, and he is just 18 years years of age. His social media following is sky rocketing, so is his fan base, especially young girls around the world. The enigmatic charm oozing out of his face has made him a heartthrob in the modelling industry and he remains one of the most wanted teenage models. He runs his very own online fashion portal by the name Living Regal. He also uploads regular vines on youtube on his channel and this one big source of his popularity. Neels has openly stated his aims of becoming a DJ someday, and will take up professional training in DJ mixing as soon as he can. The multi talented lad is also known to keep close touch with his friends which is quite visible through his Twitter account. He lives in Los Angeles at present and doing his studies while modelling and doing his duties as the CEO of his online retail clothes store. He is linked with Next Model modelling agency and is one of their highest earning models. While there are speculations about him being gay, he has never denied them and is strangely never seen romantically involved with anyone. Neels Visser was born on September 26, 1998 in Phoenix, Arizona. 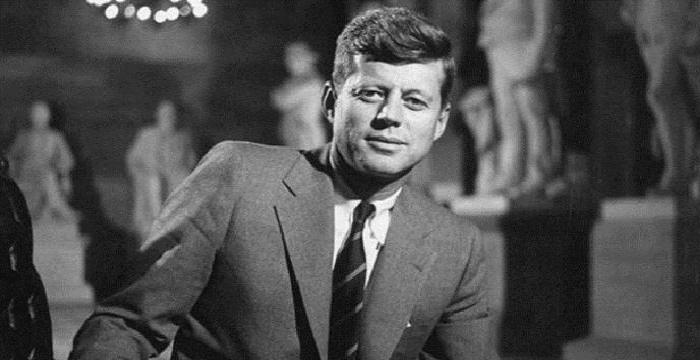 Not much has been known about his family background. His parent’s name is still under the wraps and Neels haven’t quite gone on records to talk about his family much. However, he has a sister who helped him financially while he was starting up as a model at the age of fourteen named Kendall Visser. Neels Visser was brought up in California and did his schooling from Corona Del Mar High School. It was at the school that he started seeking inspiration from modelling world and entrepreneurship, but his family wasn’t quite supporting of his endeavours, so his sister came ahead and convinced his parents. Neels was on the high school sailing team and showed keen interest in extracurricular activities. For a brief period of time, he also worked for his businessman father’s company which dealt in medical supplies. At that time, he was almost sure that he will grow up to join his father’s company. Neels Visser started modelling at an early age and due to his charming face and well sculpted physique, he quickly became an absolute favourite. His sister ran a modelling agency and Neels started working with her. He was as aspiring actor and a filmmaker in the early days, then went on to start his own YouTube channel and started gaining popularity. 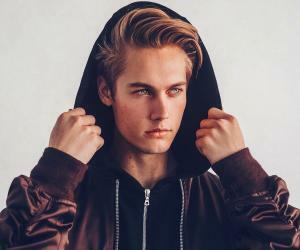 His modelling career debuted professionally in and ever since then Neels has done modelling campaigns for high end brands such as American Eagle, Dolce & Gabbana, Vanity Teen Magazine and Maybelline. Around 2015, he started a YouTube channel and started gaining followers through his videos which were full of humour and entertainment. He presently has millions of views on his YouTube channel. Neels Visser has confessed that he likes surrounded by good people all the time and that he has a massive friend circle. He remains in touch with his friends before fame and some new friends have entered his life post his fame. Some of his friends have also gained quite a lot of media attention due to Neels’s constant effort to bring them into limelight. Some of them are Madison Beer, Tatiyana Maya and Lucky Smith. Neels remains active on social media in order to be in touch with his fans all the time. He said that he seeks great pleasure in interacting with his fans and friends through this platform. He has almost half a million followers on social sites such as Twitter and Instagram. However, his dating life still remains a secret. He has not yet been linked with a girl and there are assumptions being made about him being gay. 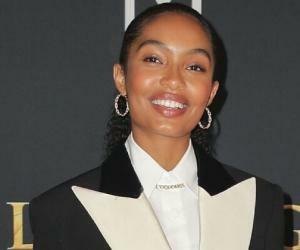 Although Neels hasn’t yet cleared the air on the speculations, neither has he denied anything nor there a good chance that we will get to know anytime soon. Neels is an artist at heart and keeps trying out new things to grow himself. Very recently, he has shared his desire to become a filmmaker and a DJ. Apart from that, he loves to travel and him along with his gang are always travelling from place to place, which is exhibited through his social media accounts. Neels has just started his modelling career and hence, his net worth is around half a million US dollars, which something he is extremely grateful for.